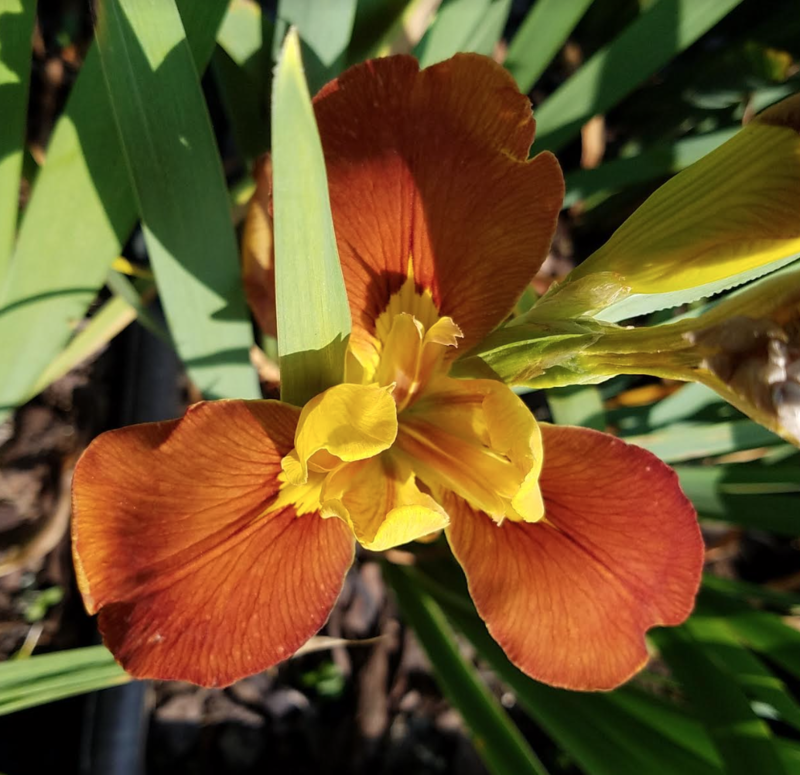 'Amber Dawn' (Frank Chowning, R. 1988), Seedling number CHOW 81-10. Height 32" (81 cm), Midseason bloom. Standards majolica yellow, brown rib line; style arms edged green, brown rib; Falls amber, large yellow lancehead signal; slight sweet fragrance. Parentage unknown. From AIS Bulletin #273 April 1989 Introducing AMBER DAWN (Chowning/Rowlan '89) Sdlg. Chow. 81-10, 32", M. Very nice flaring form. A bicolor of majolica yellow standards with brown rib line. Falls are amber coppery brown with large yellow lancehead signal. Styles are edged green with brown rib and yellow crests. Slight sweet fragrance. Unknown parentage. $25.00. Rowlan Irises.